Make SEO a lot less mysterious with these useful tools and simple suggestions. When it comes to SEO, having the right tools to simplify digital marketing efforts is essential. From identifying site issues to tracking keyword rankings, great SEO tools can save time, identify opportunities, and streamline reporting. In this post, we’ll explore three helpful platforms and discuss the features we find most useful for digital marketing and SEO work for industrial businesses. 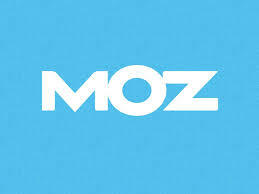 Moz is a Seattle-based platform that boasts extensive SEO tools, an active community of users, and very helpful content. Moz offers a number of tools that provide valuable information to boost SEO. One of our favorite Moz tools is the On-Page Grader, which provides an audit of on-page SEO and keywords using 30 criteria. It generates a report that ranks actionable recommendations to improve SEO performance by importance. Also helpful is the Keyword Difficulty and SERP Analysis Tool, which pulls the top-ten rankings for a keyword and assigns a “Difficulty Score” based on pages that rank for that word. After you’ve made the changes suggested by the On-Page Grader and identified keywords you’d like to rank for with the Keyword Difficulty and SERP Analysis Tool, you can use the Rank Tracker tool to retrieve search engine rankings for those specific keywords. You can even track rankings over time and sign up for email notifications if a ranking changes. In addition to great tools, Moz has extensive content on all things digital marketing and an active, knowledgeable community of digital marketers and SEOs. The Moz blog is well known among new and seasoned SEOs as a source of helpful information. Typical discussions cover topics such as Google algorithm updates and reportable metrics. Users with a Moz Pro subscription can access even more content through Moz Academy and learn more about inbound marketing, SEO, link building, social media, and more. Nashville-based Raven combines powerful SEO features and reporting with a user-friendly interface to create one of the best tools on the market. 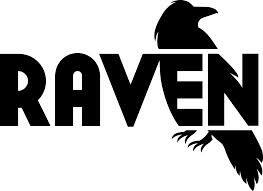 Like Moz, Raven offers a wide variety of in-depth tools. One of the Raven tools we use most is the Website Auditor tool, which runs site crawls and creates an easy-to-use report that identifies critical SEO areas to address, from visibility weaknesses to duplicate content. The Website Auditor tool creates a report that points out exactly where a website suffers from SEO issues and ranks the issues in terms of importance. For any digital marketer or SEO that works closely with a development team to address site problems, the Website Auditor report is extremely helpful. Research Central is another favorite Raven tool that taps into data from Moz, Majestic, and other trusted sources to analyze a site’s stats, link totals, page authority rank, and more. Users can easily review site quality, where competitors rank, backlink totals, and site design, all in one place. Another helpful tool from Raven is the Backlink Explorer, which allows users to see fresh links from the past 30 days and gives them the option to check a single URL or an entire domain. This tool is extremely useful for keeping tabs on the effectiveness of link-building strategies over time. Raven recently introduced a reporting feature update, which includes visually engaging graphs and bar charts, and lets users easily customize reports. In less than five minutes, users can create a professional, easy-to-understand report and share it via a link or PDF. Digital marketers and SEOs everywhere love Raven’s reporting feature because it’s a real time saver when it comes to compiling relevant information. It also looks great and takes the guesswork out of how to present important metrics to clients. In addition to their helpful SEO platform, Raven’s blog offers relevant advice and tips from expert digital marketers and SEOs. From optimizing alt and title text to link building tips, the Raven blog is a great resource for continuing to learn about SEO best practices. Raven also offers Marketing Flight School, a series of informative videos and training sessions to help users understand how to prioritize web audit issues, do a competitive analysis, and more. Of all the SEO tools we use regularly, SpyFu is the one that offers the most unique features specifically geared toward competitive industries. While SpyFu offers some SEO tools, the platform mainly focuses on tracking rank and connecting the dots from rank increases to clicks to bottom-line impact. The company has made a name for itself by offering the ability to download competitors’ keywords and view which competitor ad copy converts. We recommend using SpyFu alongside more comprehensive SEO tools, especially when implementing a Google AdWords campaign for companies in industries that are extremely competitive. SpyFu offers unlimited access to a variety of helpful tools, including keyword searches, backlink results, detailed organic history rankings, and more. The SEO Recon Files are especially useful for identifying opportunities within site ranking and AdWords data. These actionable suggestions offer SEO and AdWords recommendations that will help drive clicks and rankings. One of the better SpyFu tools is Keyword SmartSearch, a powerful keyword generator that suggests profitable keywords and provides in-depth information on keyword performance, bidding, and more. Kombat is another useful tool that identifies overlapping terms among competitors, helps establish suitable AdWords budgets, and is great for finding opportunities you may have missed but that competitors are taking advantage of. 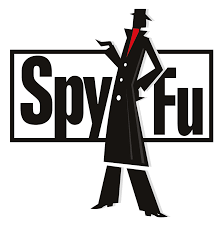 Like Moz and Raven, SpyFu features resources that compliment the tools they offer. Most SpyFu tutorials focus on gaining an advantage over competitor SEO and AdWords strategies. There are a number of valuable ones, including discovering profitable keywords you’ve missed and finding backlink opportunities. Check out this video to learn more about how SpyFu works. There are a variety of great tools on the market to help you create a successful SEO strategy. Moz, Raven, and SpyFu are just a few of our favorite tools that we use on a daily basis to create successful strategies for industrial clients at Industrial Strength Marketing. We hope this review has been helpful and look forward to hearing about which tools you use. Feel free to leave a comment below and join the conversation!